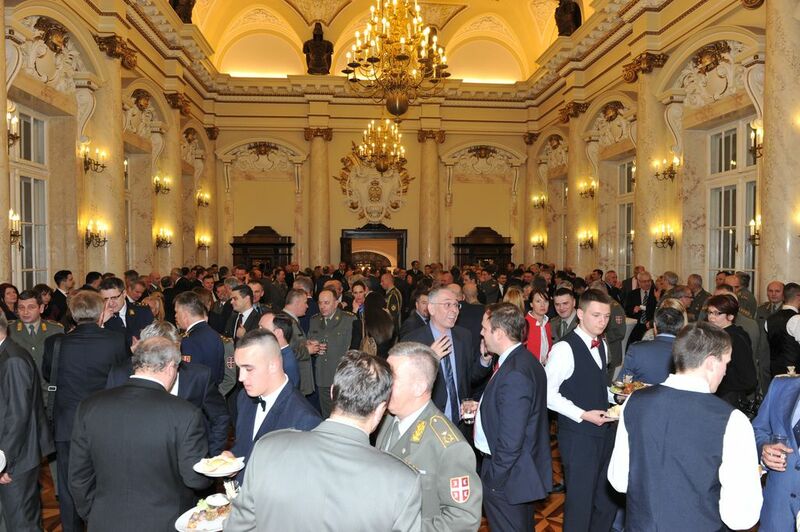 Belgrade - The formal reception marking the Day of the Military Intelligence Agency (MIA) was held at the Great War Hall of the Old Army Headquarters building. This year it is for the first time that the Day of the Military Intelligence Agency is marked on 5 March to commemorate the year 1884 when the Foreign Section within the Operational Department of the Main General Staff was formed, which was the first time in the modern Serbian state that the military intelligence activities were institutionally established. 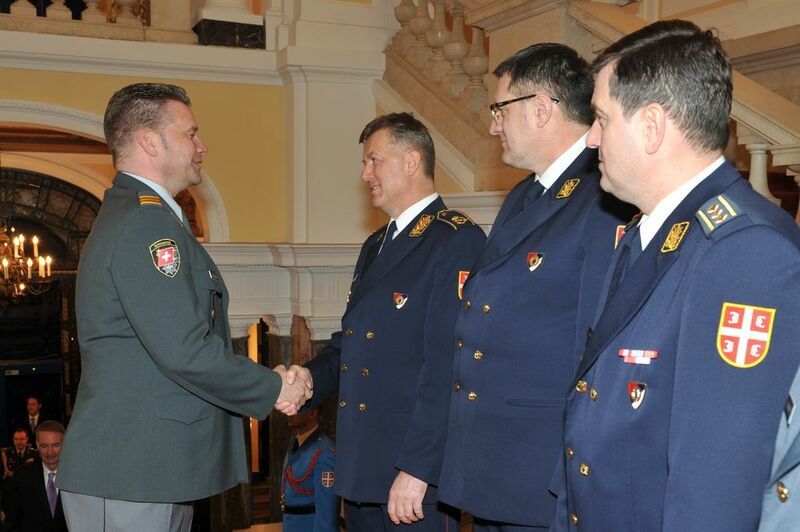 The Director of the MIA, Brigadier General Slavoljub Dabic, has said that today the MIA’s task, as it was more than a century ago, is to detect threats and bad intentions, to prevent surprises and timely inform the state and military leadership. Accordingly, the work of the Agency over the past period has been marked by an intensive engagement of all its capacities to fulfill the tasks in accordance with the foreign policy and defence interests of the Republic of Serbia – General Dabic stressed, adding that in order to provide support to the state and military leadership, members of the MIA are working hard every day on gathering intelligence about the risks and threats from abroad directed against our country. The Director has also that the Agency continuously monitors and reports on crises and the regions where the members of SAF and MoD are deployed or planned to be deployed in multinational operations, thus giving them the intelligence support while they accomplish the set tasks. 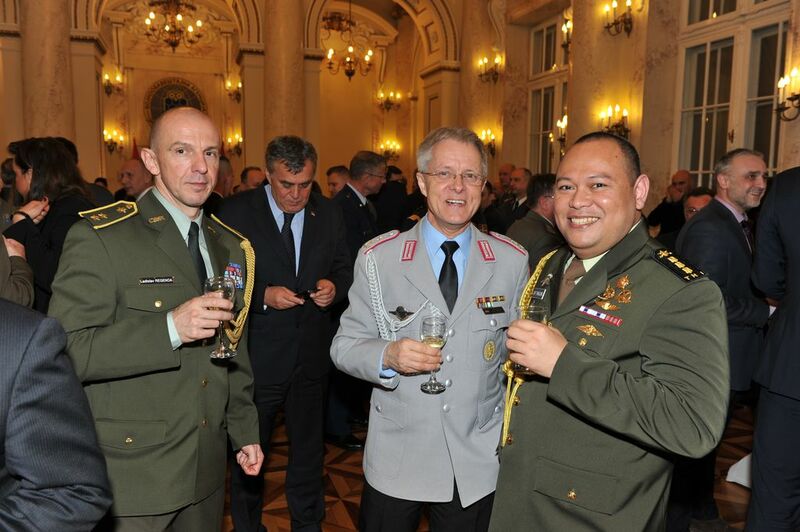 In accordance with the Agency’s function of military diplomacy, as the Director of the MIA pointed out, the defence attachés in 22 countries represent the Ministry of Defence and the Serbian Armed Forces in a dignified manner as a credible and reliable partners, adding that he is proud of the fact that MIA and its members responsibly, in a professional way and in accordance with the law protect the national interests f Serbia. 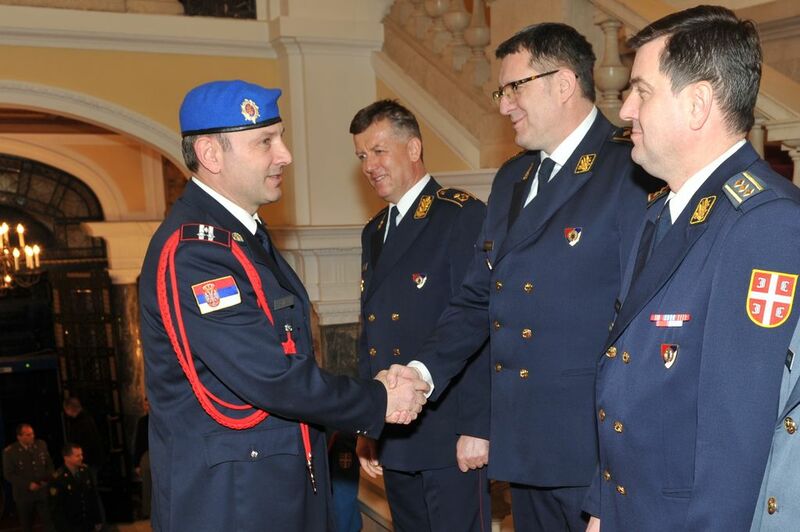 "The Military Intelligence Agency, as the holder of the intelligence function in the defence system of the Republic of Serbia has kept its basic "capital" and that is, in the first place, the people with integrity, knowledge, experience, team spirit and a desire to always be one step ahead of the event", General Dabic said. With its work the Agency has contributed to the stability of the defence system and security of Serbia and its citizens, while in the next period, the Agency will strive, in accordance with the economic possibilities, with better organization and training of its personnel, to raise the level of operational and functional capabilities to tackle new challenges. 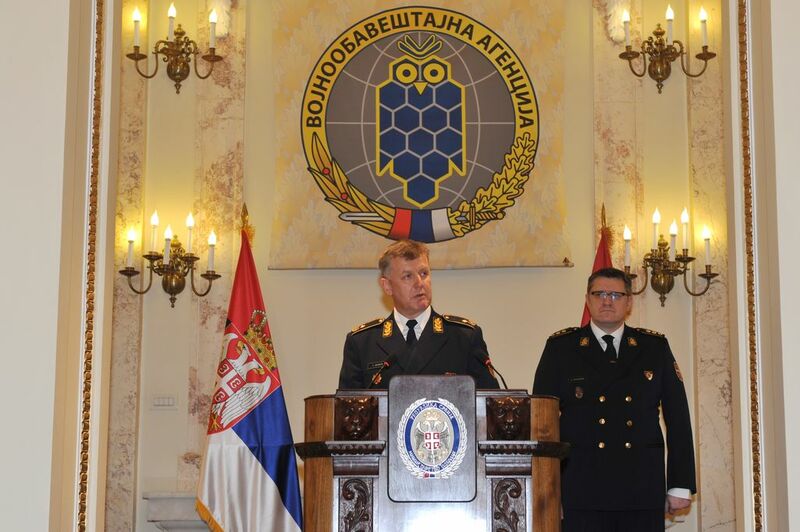 "The Military Intelligence Agency and its members will continue to be the first line of defence of Serbia, General Dabic concluded, adding that the goal of MIA is clear" modern and powerful intelligence function in the defence system of the Republic of Serbia, while preserving the security of the Republic of Serbia is the top priority. 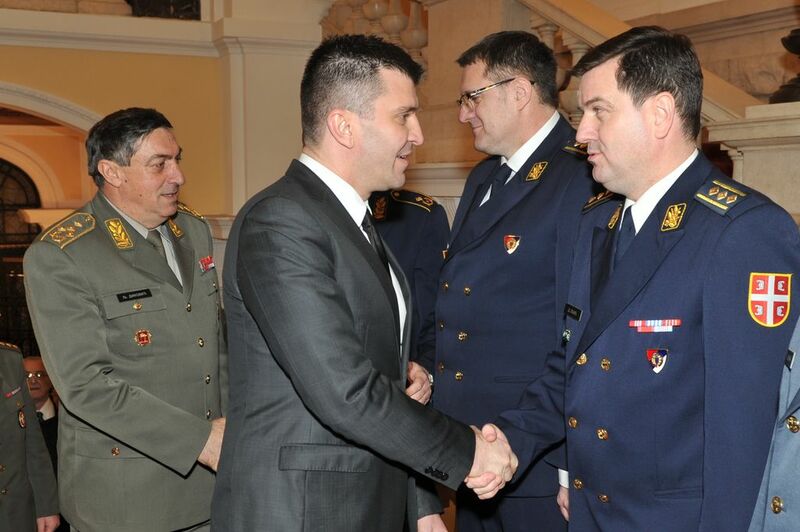 The ceremony was attended by Minister of Defence Zoran Djordjevic, representatives of the executive, judicial and legislative powers, Serbian Armed Forces Chief of General Staff General Ljubisa Dikovic, representatives of the Ministry of Defence and the Serbian Armed Forces, Ministry of Interior, religious communities, diplomatic corps, and guests from public and cultural life, as well as the representatives of media.